Memory device is serial eeprom 93c86. Use PCF7936 or Silca T14 – JMA TP12 transponder or original remote key. 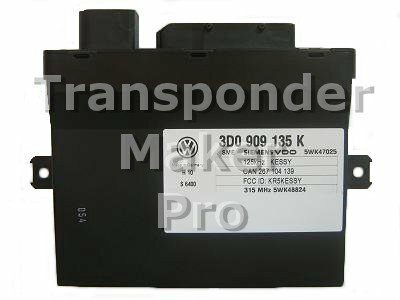 Volkswagen,Audi,Porsche,Bentley KESSY SiemensVDO, Memory device is serial eeprom 93c86 SMD 8 package. Expected file size is 2048 bytes. Use PCF7936 or Silca T14 - JMA TP12 transponder or remote key with PCF7946. 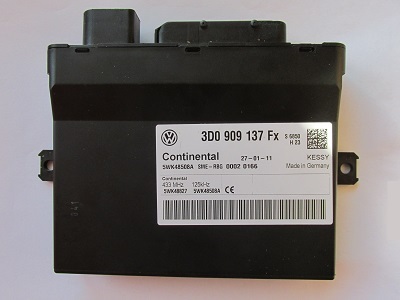 Module also shows PIN code and transponder has to be matched with car.